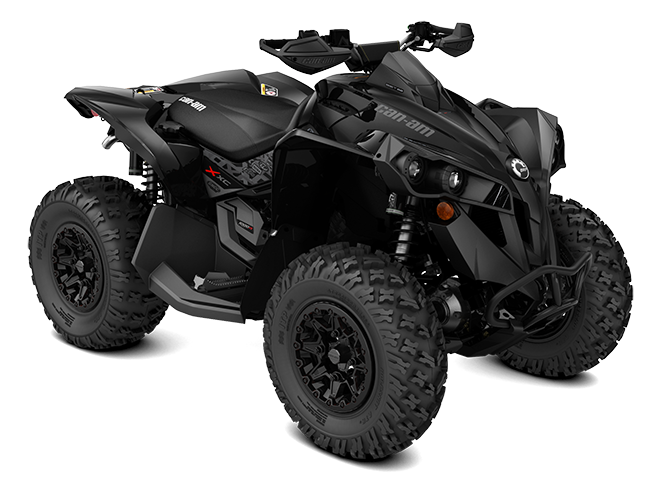 Category leading performance - Available with the 78-hp Rotax 850 or 89-hp Rotax 1000R liquid-cooled V-Twin engine, with four valves per cylinder and single overhead camshafts, the signature Can-Am engine lineup offers unmatched power for a true performance edge. A mechanical fastening device makes it nearly impossible for the tire to break its bead from the wheel during heavy acceleration or cornering. Comes with wind deflectors and square pad for a sport look and protection from brush and cold.